Verging on Pertinence: Do you Hearing What I'm Not to Hear? Do you Hearing What I'm Not to Hear? Based on this entry from the Illyrian Gazette (as pointed out by the estimable East Ethnia), things are looking up for some of the former republics of 1990's Yugoslavia. 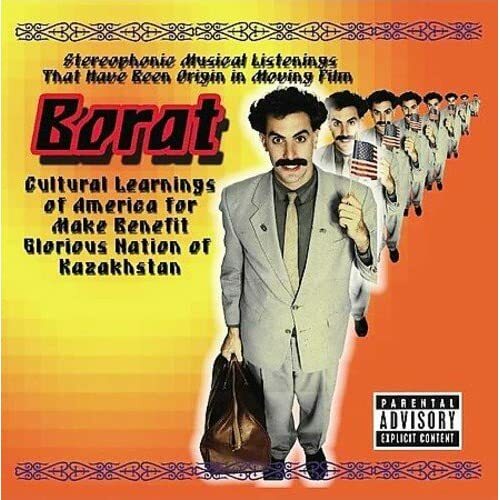 The soundtrack from the new movie starring Borat,(who did for Speedo what The Plague did for the growth of mid-14th century Europe), is titled Borat: Cultural Learnings of America for Make Benefit Glorious Nation of Kazakhstan. Those clicking sounds you hear are school districts all over the glorious U.S. of A. placing their orders in for this cd. Only through badly spoken English and cheap jokes will our youth be willing to undertake the difficult act of understanding a diffferent culture. But, as the Illyrian Gazette points out, if the content and performance is carefully studied, one will see the culture of Macedonia (and non-former country Romania) exposed and not that of Borat's "native" Kazakhstan. Another slap of the smelly glove on poor Kazakhstan. Can it be only a short time before Sacha Baron Cohen, man of intrigue, alights his eyes on Slovenia, Croatia, Montenegro, or Serbia? Hope he realizes that folks over there are still a touch trigger-happy. Not a good thing to rile up someone with good aim.